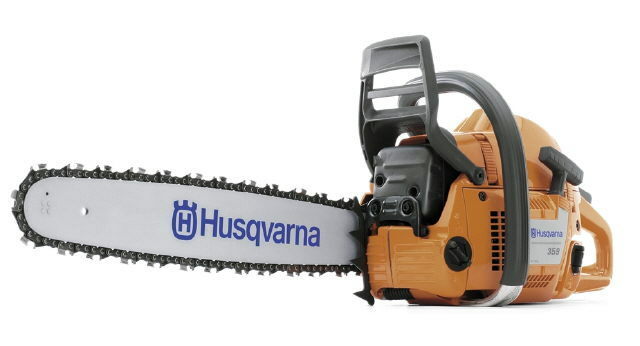 Husqvarna model 359 & 460 Rancher 24" Chainsaws. Pro quality HD gas powered saw recommended for fire wood cutting and larger diameter logs. Now guaranteed sharp chain on rental units! A new cutting chain is installed on the rental saw and we provide 1 32oz can of premix 50:1 gas & 1 qt. of bar oil. Additional chains are available for purchase & are returnable if not used/opened. BAR OIL CAPACITY: .95 PT (.45 L) CHAIN PITCH: 3/8"
* Please call us for any questions on our chainsaw 24 inch bar rentals in Portland OR, Gresham OR, Milwaukee OR, and surrounding metro area.